Abidjan is the largest city of Ivory Coast, West Africa that boasts an array of dazzling skyscrapers, luxurious mansions, manicured gardens and unique historic and cultural sites. This cosmopolitan city, renowned as the Manhattan of Africa is home to several mesmerizing monuments. 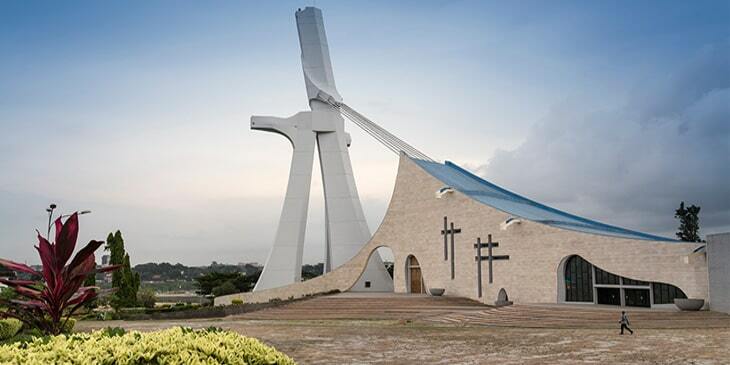 Visit the concrete pyramid-shaped La Pyramide, the most enterprising architectural structure in Abidjan designed by established Italian architect Rinaldo Olivieri with modern African architecture. Head to the notable Cite Administrative building to admire its stunning copper colored blocks and fretted windows. You can also visit one of Africa’s largest churches, St Paul’s Cathedral that features incredible paintings and mosaics depicting Biblical stories. Contact Brightsun Travel to book Abidjan flights from India and explore some of West Africa’s amazing landmarks. Abidjan is fast becoming one of Africa’s leading art hubs with various contemporary art galleries. Visit the Eureka Gallery to discover a range of historical items, from paintings and traditional fabrics to textiles and wooden and bronze sculptures; here you can also witness a rare collection of artifacts created by groundbreaking Ghanaian painter Gabriel Eklou. Head to the Cecile Fakhoury Gallery, renowned for its rare collection of contemporary African art to browse hundreds of colourful paintings created by local artists, highlighting the contrast between ancient and present-day Africa. Other must-visit venues include the Galerie d'Arts Pluriels and Dominantes Gallery. Brightsun Travel offers direct flights to Abidjan from India, taking you to the heart of this prominent cultural centre of West Africa. Discover Abidjan’s modern museums to learn about the fascinating cultural heritage of Ivory Coast. Step inside the National Museum of Abidjan and browse a collection of traditional art and craftwork, including masks, musical instruments, pottery and bronze sculptures. Another prominent museum of the city is the Cocody Municipal Museum of Contemporary Art, home to contemporary art pieces created by Ivorian and African artists, including paintings, ceramics and tapestries. Visit The Museum of Cote d’Ivoire to learn about Abidjan’s cultures; here there are more than 20,000 items on display, including human and animal statuettes made from terracotta. Finally, visit the Museum of Civilization to explore various photographs highlighting the Ivory Coast’s history since the colonial period.